this is a great article – thank you! Let me just add, that Zweigelt and St. Laurent can also produce great, complex wines, but while it is very difficult to make ligher and easy drinking Blaufränkisch, Zweigelt and St. Laurent work both ways depending on the terroir and the intention of the winemaker. Two moths ago I was in California hosting 2 Austrian red wine tatings: To my big surprise they created a lot of interest and attraced many pros from retail and restaurant business. 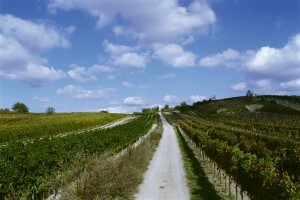 So I am as optimistic as Andreas Wickhoff MW that Austrian red is rising in this market.